Former Governor William F. Weld has formed an exploratory committee to see if he will challenge President Trump in the 2020 GOP primaries. In the context of the 2020 presidential election, the takeaway from the Mueller report Sunday wasn’t anything Democratic candidates said. It was that Republicans thinking about challenging President Trump have lost their voice — and rationale. A letter from US Attorney General Bill Barr to Congress on the main findings of the long-awaited report said the Trump campaign didn’t collude with Russia during the 2016 election and there wasn’t enough evidence to prosecute Trump for trying to obstruct the investigation. Democratic presidential candidates all rushed to their Twitter accounts and, almost in unison, said they wanted to see the full Mueller report and not just take the Trump-nominated attorney general’s word. Trump and his lawyers were quick to crow that the report showed “complete and total exoneration” for the president when it came to both collusion and obstruction. But the real news might be this: Barr’s letter makes it far less likely that President Trump will face a significant primary challenger. “It was already unlikely that Trump was going to face any serious challenge, but now it is basically not going to happen,” said Dave Hopkins, a Boston College political science professor. Before the findings of the Mueller report, some saw a potential opening for challengers in the 2020 Republican presidential primary. If the investigation found Trump committed a crime or an impeachable offense, any number of other Republicans were in a position to be the GOP nominee, including Vice President Mike Pence. Most of the thinking, even among Trump critics inside the GOP, was that Trump would easily beat back any primary challenger. But simply having a primary challenger has been bad news historically. Indeed, dating back to Lyndon Baines Johnson in 1968, every time a sitting president faced a primary challenger, they lost their reelection bids. LBJ quit the race after a poor showing in the New Hampshire primary. Gerald Ford survived a primary challenge but lost reelection in 1976, as did Jimmy Carter in 1980 and George H.W. Bush in 1992. This historical precedent was the basis for former Massachusetts governor Bill Weld’s decision to form an exploratory committee to challenge Trump. Weld said it was “a nice statistic,” fueling a campaign that would serve the nation well whether or not he could topple Trump. But, if Barr’s letter accurately described the findings of the Mueller report, it will only further strengthen Trump’s already very strong standing with his own party and remove the major line of argument any serious primary challenge of Trump would need. Mitt Romney, once a leading “Never Trump” Republican, tweeted Sunday it is “good” Trump didn’t collude or obstruct justice and that “it is now time for the country to move forward.” So where does that leave folks like Weld or others considering a challenge, such as former Ohio governor John Kasich or Maryland Governor Larry Hogan? 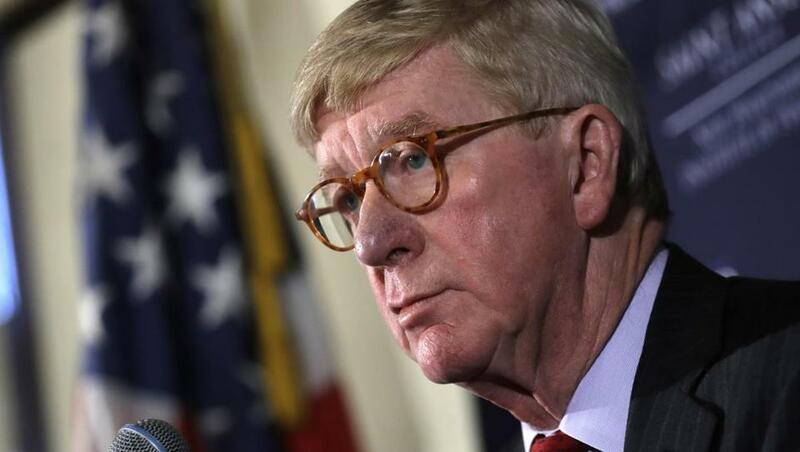 So far Weld, the only known Republican to even offically explore a run for president, has just echoed the calls of Democrats to have the full Mueller report released. To be sure, the Barr letter is far from the last we will hear from the Mueller report. Democrats want to see the report in its entirety and key House Democratic chairmen have said they plan to call for Mueller and Barr to testify. But nothing they say, and nothing in the full report, is likely to change how Republicans will view the investigation. One other thing to keep in mind: The bruising yet unsuccessful primary challenges against sitting presidents in the past have largely been ideological, with a candidate from the base challenging a more centrist incumbent. But in today’s politics, all potential challengers to Trump were running from the center and not from the right. This meant they needed a damaging Mueller report even more as a rationale for why they were running. With it looking less likely that Trump could be politically damaged, it is hard to see Weld picking up any steam or any other challenger jumping in. James Pindell can be reached at james.pindell@globe.com. Follow him on Twitter @jamespindell.